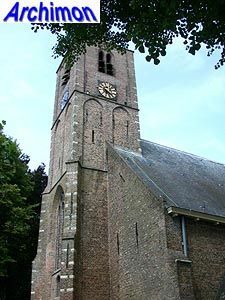 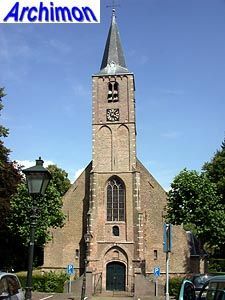 Although Rhoon dates back to the year 1199, it didn't have a church until the early 15th century. 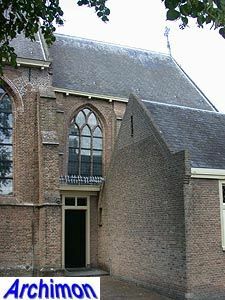 Until then there was only the chapel of the local castle. 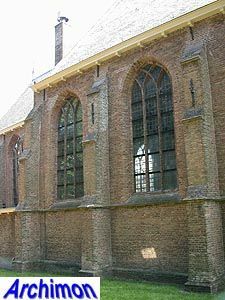 In 1428 work began on the construction of a church. 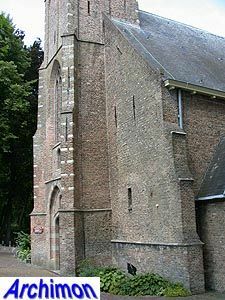 At first only a tower, baptristry and choir were built, all completed in c. 1430. 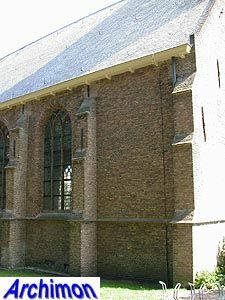 In c. 1500 a one-aisled nave, wider than the choir, was built on the empty space between the tower and the choir, while the latter was largely rebuilt. 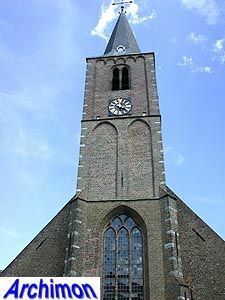 The church was dedicated to St. Willibrordus. 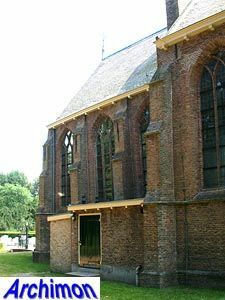 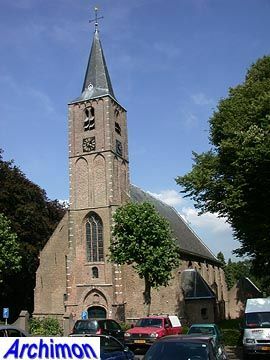 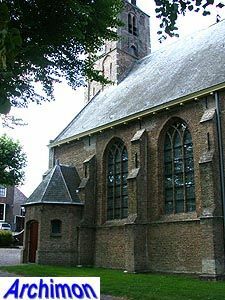 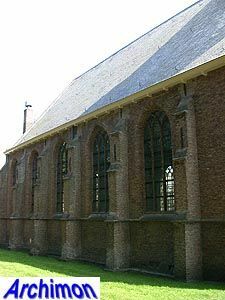 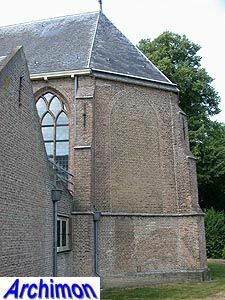 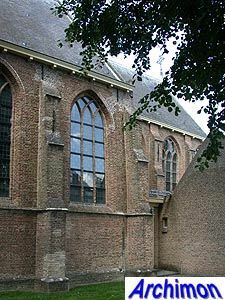 In 1576 the lord of Rhoon, although a catholic himself, handed the church over to the protestants and opened his private chapel to the catholics. 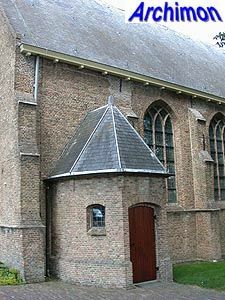 In the following centuries the church underwent several changes. 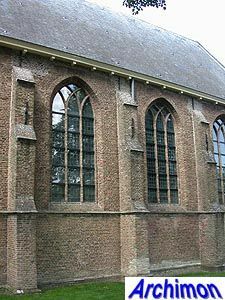 When in c. 1740 a monument for Hans Willem Bentinck, was placed in the choir, its three eastern windows were closed. 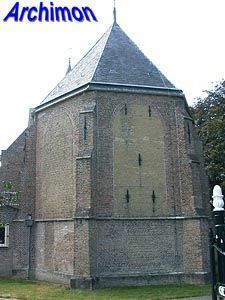 In 1766 the tower was rebuilt, while the baptistry was demolished. 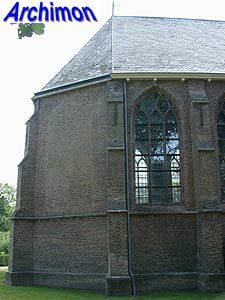 In 1905 the tower was damaged by fire. 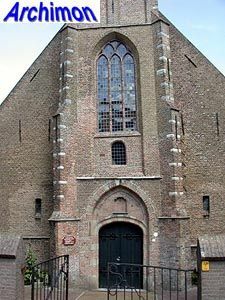 In 1912 it's restored by J. van Gils, resulting in a rebuilt upper section. 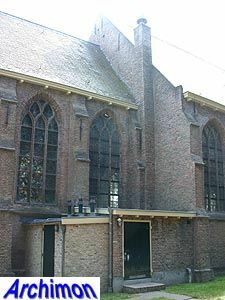 In 1939-40 the entire church was restored by architect B. van Heyningen and a consistry added to the south side.